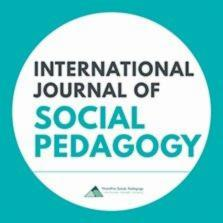 This International Journal of Social Pedagogy special issue on Social Pedagogy in the Nordic Countries generally stems from Hämäläinen’s (2012) definition of two main developmental lines of social pedagogy: a line of social care and welfare activities preventing and alleviating social exclusion, and a line of social education supporting growth into membership of society. In the Nordic countries, both of these lines exist in social pedagogical discussion, research and practice. The special issue aims to both discuss the existence of these lines as such and show examples of social pedagogical work in the arenas of both general and special social education. The concept of social pedagogy consists of two parts. The principal term is ‘pedagogy’ and the qualifying one is ‘social’. The word ‘social’ is used in different ways and contexts. Therefore, there are also many kinds of semantic interpretations of the concept of social pedagogy. This paper discusses discrepancies of the concept of social pedagogy, paying attention especially to different uses of the qualifying attribute ‘social’. Attention is paid to varieties of theoretical self-conceptions of social pedagogy within the history of the concept. Copyright statement: © 2019, Elina Nivala. This is an open access article distributed under the terms of the Creative Commons Attribution License (CC BY) 4.0 https://creativecommons.org/licenses/by/4.0/, which permits unrestricted use, distribution and reproduction in any medium, provided the original author and source are credited • DOI: https://doi.org/10.14324/111.444.ijsp.2019.v7.1.011. How to Cite Nivala, E. (2019). Editorial: Special issue on social pedagogy in the Nordic countries. International Journal of Social Pedagogy, 7( 1): 11. DOI: https://doi.org/10.14324/111.444.ijsp.2019.v7.1.011. MULTIGENERATIONAL ASPECTS OF SOCIAL STRATIFICATION: ISSUES FOR FURTHER RESEARCH. Hypertension control in developing countries: generic issues.